Kim knows everything about the office, hence why she earned the nickname “Office Ninja”! Kim will help you with any and all questions you may have. Insurance questions, eyeglass questions, billing questions, you name it and Kim knows it. Just test her, go ahead call and ask her anything. It’s not easy to be a ninja, but Kim does it so effortlessly! 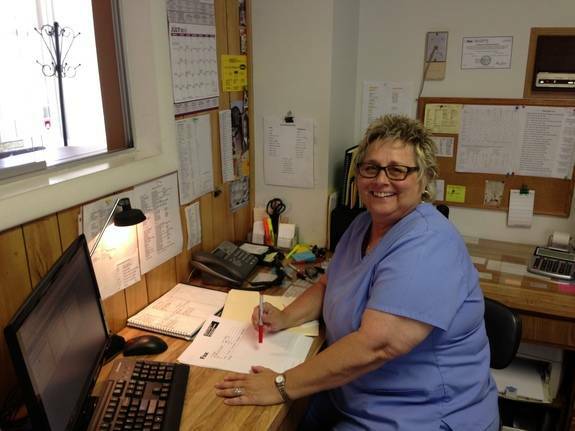 Kim’s ability to care for our patients and do what’s best for each one are some of the many things that help set Jeffries Eye Care apart from everyone else. If you have any suggestions to help us reach our goal of – ‘whatever you need, we will take care of you’ – please let Kim know! When not in the office, Kim prefers to be on the golf course with her friends, or working on her foundation “Local Hope” . This charity helps support local women as they battle with the challenges of cancer. We are so proud of her efforts to help the community!